The result of dynamo benchmark case 1 is shown. 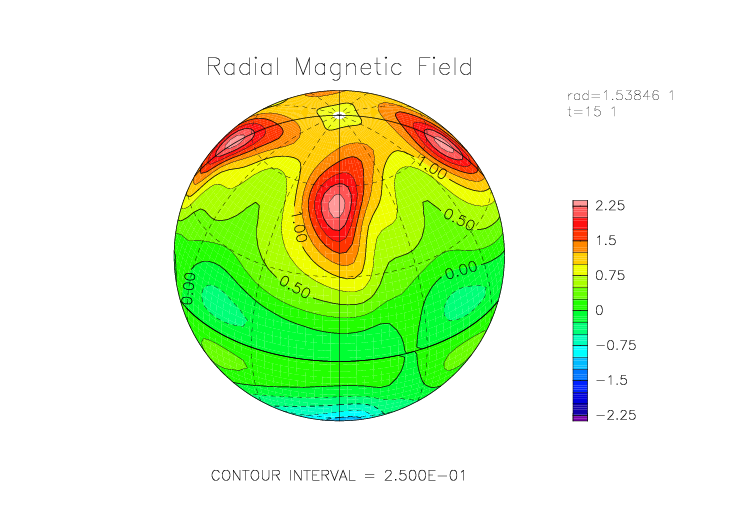 The left panel indicates the radial component of magnetic field at the outer surface of the shell. 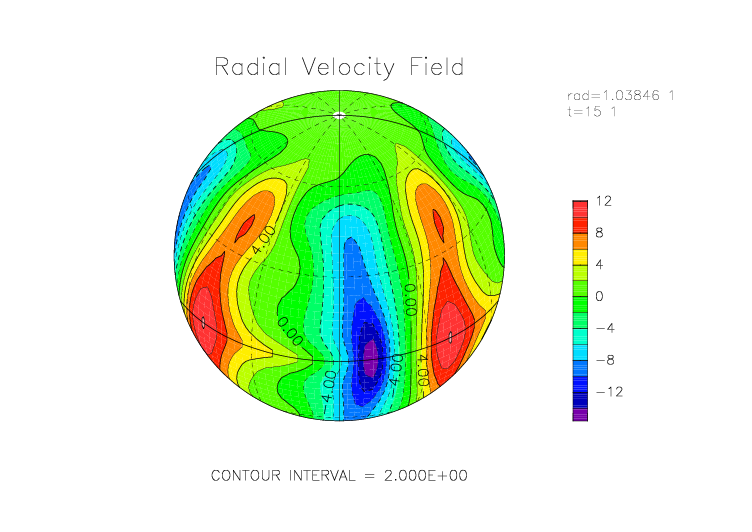 The right panel is the radial component of velocity field at the middle of the shell. number 4 emerges. 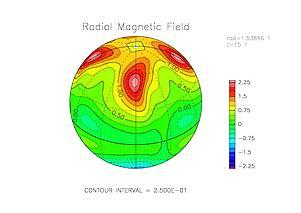 This pattern propagates in the retrograde direction.